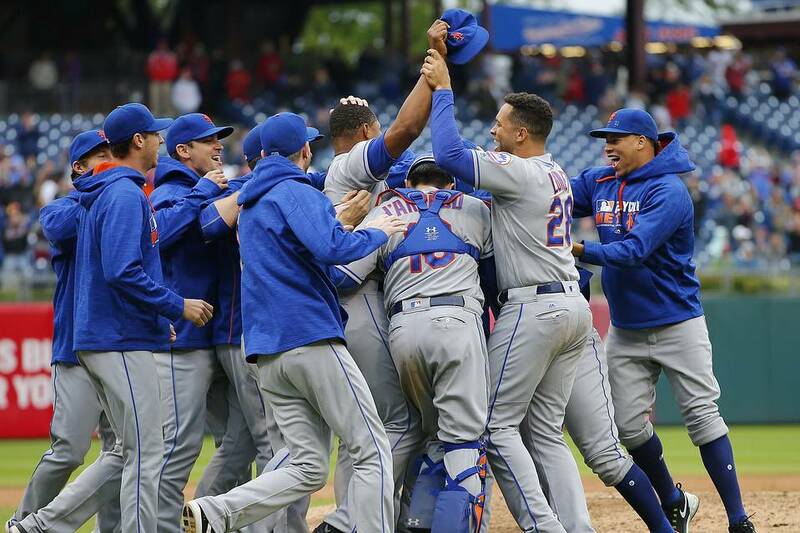 Saturday, October 2nd 2016: On this day the New York Mets won the NL Wild Card Top spot in the National League. It marks just the second time in team history, the Mets have made consecutive post seasons. 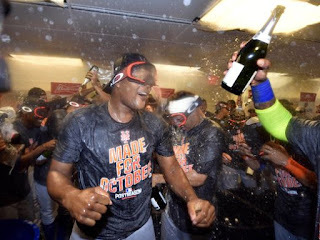 It is a certainly different scenario than last season, when the Mets won the NL East with a star studded pitching staff, added Yoenis Cespedes with a few AAA call ups & some veteran help, getting them all the way to the World Series. This years version lost three of its star studded starting pitchers, they lost their Captain, their first baseman, their second baseman & so many other along the way at various times. In late August the Mets were missing more than a half a dozen of their best players, they were two games under .500 and five games out in the wild card hunt with six teams in the mix. But since that time the Mets have the best record in baseball at 27-12 & passed all those teams to win the leagues top wild card spot. The mix of veterans, minor leaguers & pitchers that keep coming up from AAA Las Vegan got the Mets here. 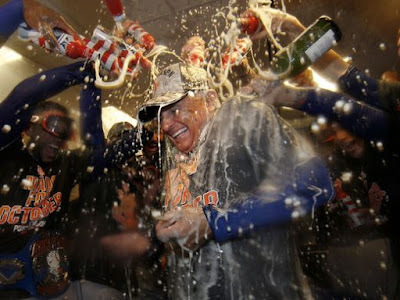 Terry Collins & Sandy Alderson have developed a winning culture with these Mets, everyone contributes. 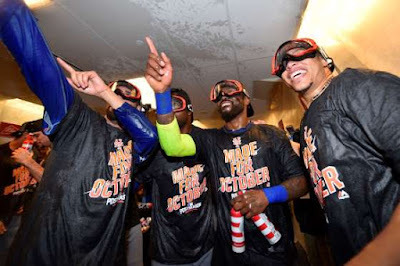 This year has certainly been Amazing for this Mets team. Quotes: Mets Manager Terry Collins: "If you’re going to play in our town, you’d better have heart and you better have character. You’re gonna get knocked down and you better be able to get back up. Terry Collins Mets (84-74) took the field in Philadelphia with all intentions of beating the lowly Phillies (70-91) to clinch the top NL Wild Card spot. They sent Bartolo Colon to the mound, he would he win his 15th game of the season. tops on the Mets staff for the third straight year, putting him with the fourth most wins in the NL & among the top ten winningest pitchers in victories. 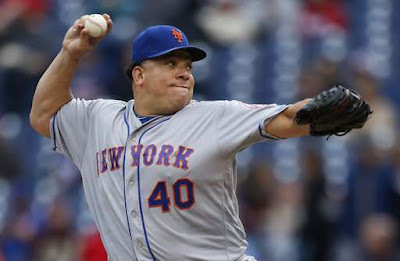 Colon at age 43 is such an amazing story and a Mets legend for the ages. The only runs Bart gave up was a two run HR to longtime Phillie Ryan Howard, most likely playing his last game in Philadelphia. Colon struck out six, allowing five hits. Jerry Blevins & Hansel Robles led the way to the familiar Fernando Salas 7th inning, Addison Reed 8th inning & Jeurys Familia 9th inning. Reed recorded his 40th hold & Familia recorded his Mets record 51st save. With Lucas Duda waking up with soreness in his back, James Loney got the start & had one of the biggest hits of his career a two run HR in the 6th inning to put the Mets ahead for good. 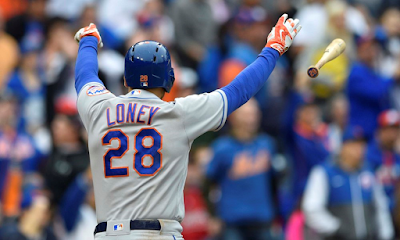 Loney gave a bat flip that he wasn't even aware of, as he got caught up in the moment. It was his 9th HR of the year. Earlier in the 4th, Curtis Granderson doubled & was brought in on TJ Rivera's single. In the 5th Travis d'Arnaud singled & was sacrificed over by Colon. Jose Reyes then singled bringing in the Mets second run. The Loney HR came after Ryan Howard had tied the game up. 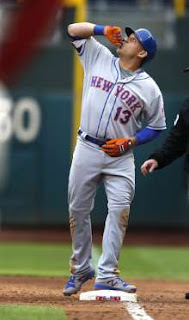 In the 9th, Adrubal Cabrera possibly the Mets unsung MVP since mid August, drove in Jose Reyes with the final insurance run. It may only be a celebration for a one game wild card playoff game but it is a trip to the post season.